The human body requires food, air and water. ... The ears and nose of humans continue to grow throughout the entire life. A human heart beats about 100000 times in a day, 36500000 times in a year and over a billion times in 30 years. A typical person has around 4-5 litres of blood. Our blood carries oxygen and nutrients around our bodies to the body's cells, and pick up waste materials to take out of the body. What else does blood contain? Our blood contains antibodies to fight invading germs. Our heart is the pump that keeps the blood moving. Food provides us with fuel to stay a live. From food we get the energy to work and play and the raw materials to build new cells. The food we eat needs to be broken down so that our bodies can use it to make energy. 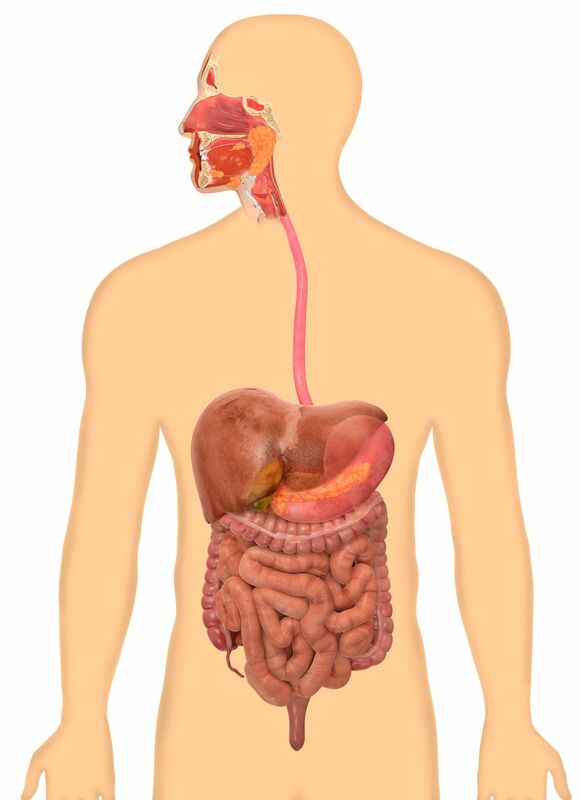 Food is broken down by our digestive system and then taken around our body by the circulatory system (the blood). When we breathe, the body takes in the oxygen that it needs and removes the carbon dioxide that it doesn't need. The Skeleton is the name given to the collection of bones that holds the our body up. Our skeleton is very important to us. It does three major jobs. It protects our vital organs such as the brain, the heart and the lungs. It gives us the shape that we have. Our skeleton supports our body, without our skeleton we would just be a blob of blood and tissue on the floor. It allows us to move. Because our muscles are attached to our bones, when our muscles move, they move the bones, and we move. Your nose and ears continue growing throughout your entire life. More nose facts. Your sense of smell is around 10000 times more sensitive than your sense of taste. More senses facts. How does BLOOD circulate around the Cardiovascular System? Here body parts and biology are explained to kids. Operation Ouch is a British science show for kids that is full of experiments and biological learnings. Subscribe to the Operation Ouch official channel! Click here: https://www.youtube.com/c/operationouch Watch these amazing body experiments for kids! This week, Dr.Chris swallows a camera! You can buy the book here https://www.amazon.co.uk/Operation-Ouch-HuManual-Ben-Elcomb-ebook/dp/B073WPMPX1/ref=sr_1_fkmr0_1?s=digital-text&ie=UTF8&qid=1507123643&sr=1-1-fkmr0&keywords=operation+ouch+humanuel and download the series here https://itunes.apple.com/gb/tv-season/operation-ouch-season-6/id1369101462 Operation Ouch is packed with incredible facts about the human body and fronted by identical twins Dr.Chris and Dr. Xand van Tulleken who experiment and explore their way through the fascinating world of medicine and biology. Subscribe for more: https://goo.gl/iDvxKs Learn all about the human skeleton with Dr Chris and Dr Xand as they explore broken, fractured and even fake bones! Operation Ouch is a science show for kids that is full of experiments and biological learnings. Subscribe for more: https://goo.gl/iDvxKs Dr Chris and Dr Xand are looking at muscles and how the muscular system works! Operation Ouch is a science show for kids that is full of experiments and biological learnings.